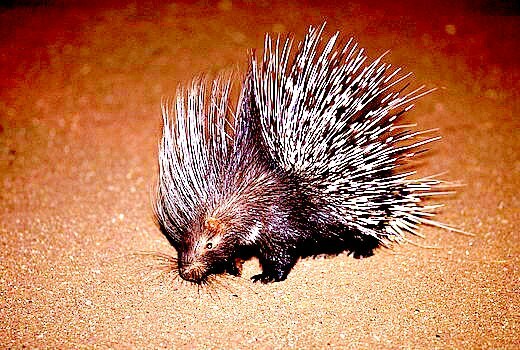 Porcupine, short-legged, mostly nocturnal herbivorous rodent with erectile, defensive quills in its back. Old World porcupines of the family Hystricidae are heavy, have brown to black fur with white-banded quills and are terrestrial. New World porcupines of the family Erethizontidae are smaller with yellow to white quills and are arboreal. The largest European and African rodent, the African crested porcupine (Hystrix cristata), attains a length of about 80cm.